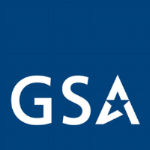 BNL, Inc. has been awarded a five year GSA Professional Services Schedule (00CORP) contract, which allows us to offer a full range of management and consulting services that can assist federal agencies in improving performance and in meeting mission goals. BNL, Inc. has been awarded a five year IT Schedule 70 contract, which offers innovative technology products & services that can assist federal agencies in improving performance and in meeting mission goals. BNL, Inc. offers our clients the GSA 738X Human Resources and Equal Employment Opportunity Schedule that provides accessibility to our competitive human resources management services across the spectrum of human resources functions.